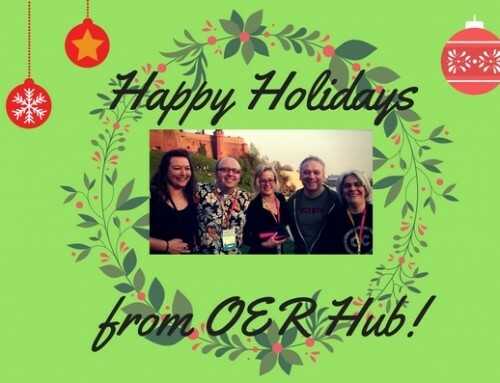 What is it about the OER Impact Map that creates so much interest among OER colleagues? I have been pondering this very question ever since it generated quite a buzz at its mini launch at Open Ed 13. One thing that’s for sure is that there seems to be an obsession with maps in the OER community. I think the Map’s designer Martin Hawksey was right when he noted in his blog post : “the OER community are obsessed with geography”. The unique features standing out in Martin’s design are: a zoomable map by clicking on a country and a Sankey diagram to let people see the flow of data from a hypothesis (evidence is being collated for our project around a set of 11 hypotheses). Through our Impact Map, our project hopes to be able to gather and display evidence for our research hypotheses . We have also invited the general OER public to add their projects to the map and share data from their projects. This way we hope to build a rich picture of OER projects and data relating to the impact of these projects, in various sectors. The Map’s interactive features have certainly attracted a wide range of individuals, not just persons interested in OER. For example, at The OU’s Learn About Fair held last Wednesday 26th February, participants belonging to various disciplines such as Languages; History and Geography were intrigued by functionality and design. 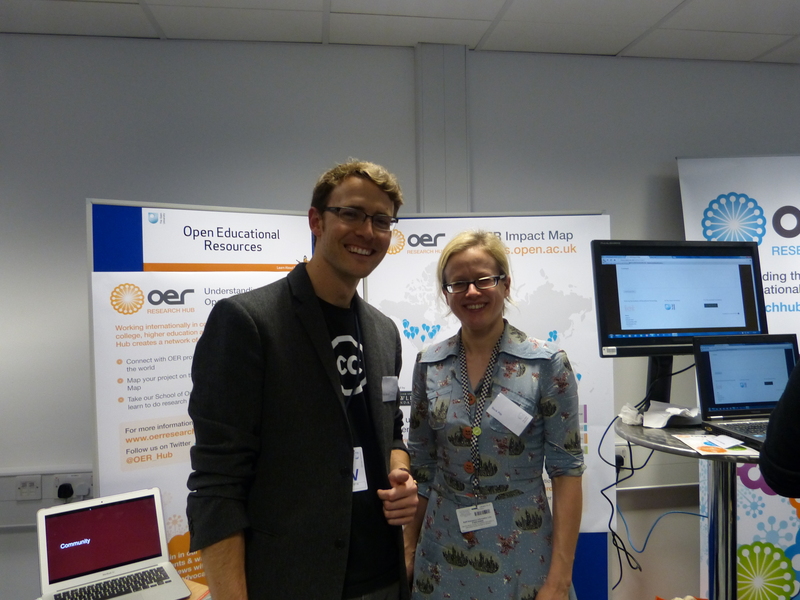 The Impact Map proved, once again, to be the centre of attraction at the OER Research Hub stall. For us, the Learn About Fair was a great opportunity to connect with these other projects and explore synergies – The OU is, by UK standards, a large organisation and staff don’t often get the opportunity to discuss research and projects across disciplines/departments. But via events like the Learn About Fair we discover projects like CORE which, like the OER Research Hub, uses an interactive map as a tool for exploring data (see CORE’s map here). The event certainly facilitated a kind of sharing that could prove valuable to both our projects. The Fair was all the more special because OERRH fellow, Billy Meinke, was on site to participate in this event – open licencing is still a new and mysterious concept for some OER projects and his Creative Commons background was certainly of value to colleagues. If you are interested in adding your OER project to our Impact Map, and would like to share your data (or see what others have shared), read more here.